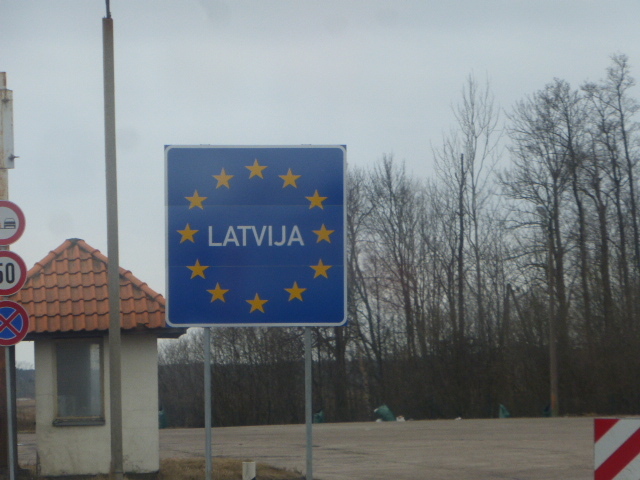 We drove south across the border into Latvia and immediately things changed. To be fair, the grim, sleety weather didn’t help but the roads became more potholed as our ‘motorway’ hugged the steel grey Baltic Sea which we could see through the white trunks of the silver birch trees. 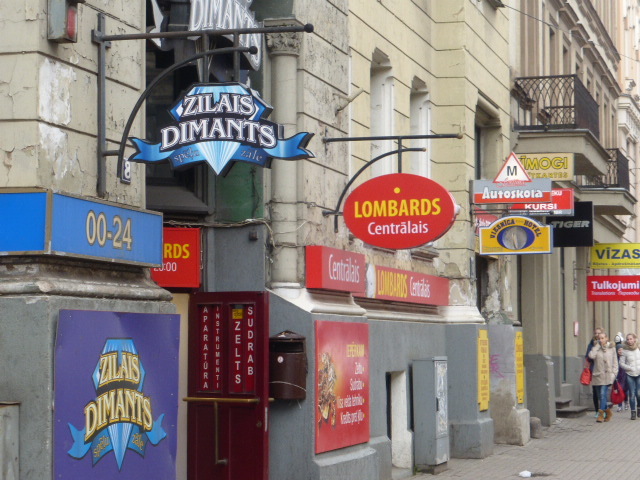 We drove through little villages of wooden houses – blink and you would miss them – and we went straight to the capital of Riga, stopping on the outskirts in a MacBurger place so that we could use their free wifi and track down a hotel for a couple of nights. S drove MAGNIFICENTLY through the horrible, devious and extremely stressful one way system of Riga whilst I fast approached a meltdown as we went round and round, but we eventually ended up at a small hotel a fifteen minute tram ride from the city centre with some not so dodgy parking in a compound behind it for the van. After a decent night’s sleep I wanted to do some sightseeing so leaving S in bed I jumped on a trolley bus which ran past the hotel and I went into the old town. First impressions are that the old town of Riga is bigger than the old town of Tallinn, but like Tallinn it is stuffed full of churches with ornate spires, castle towers and turrets and parks. As well as the old stuff (I think it is predominately baroque) there is a large art nouveau element to the architecture and everything is very pretty. I poked around in the Museum of War which is housed in the Powder Tower and also in the National Museum of Latvia which took me a few attempts to track down as there is an unimpressive doorway besides what appears to be a high street bank. The first museum was ok, the second one didn’t have that much information in English so I got a bit bored. For lunch I ate at a small cafe which served traditional Russian dumplings – you choose what type and how many you want from the large pots of boiling water and you then weigh your bowl at the till. I walked some more around the Freedom Monument which was glinting in the sun and the old houses and buildings before taking my aching feet and the trolley bus back to the hotel. Unfortunately the next day S was still not well, so to give him and myself some space I checked out with my backpack and I went and found a hostel right in the thick of the old town. As I checked in I met Nick and Frankie who told me about a free walking tour that they were about to go and investigate so I tagged along with them for what was a tour of Riga that was a little bit different. The tour concentrated on things that were mainly outside the old town. 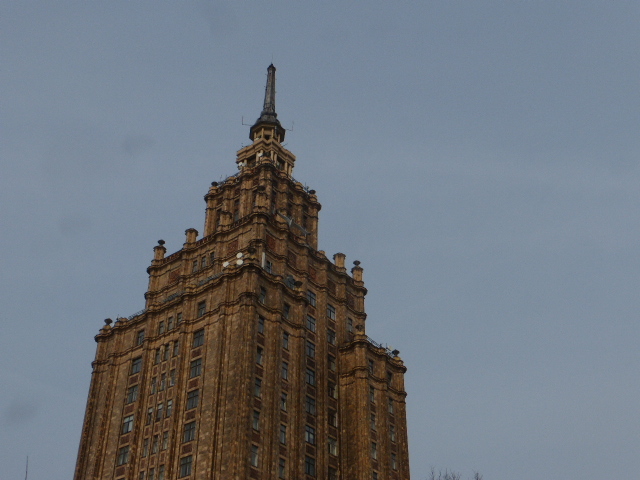 We went to the huge food market which was made out of old zeppelin hangers and we saw the big squat Soviet designed building that is known as Stalin’s birthday cake. I learnt that beavers live in the river that flows through the city (hence why many of the parks trees are protected with iron fences), and that the mound of old stones which looks positively medieval was not a castle tower but rather a dump for the stones and soil when the ancient town walls were dismantled. We saw the little wooden houses which still remain outside the old town walls. Most of them look quite ramshackle now, but it is a matter of pride for the residents that they are still there. The ancient town rules were that no stone buildings could be built outside the city walls so that if an advancing army approached, the wooden homes could quickly be burnt to the ground so as not to afford the enemy any advantage. The people got fed up of being displaced time and time again as their homes were burned but when modernisation took place and the government wanted to replace the houses with stone or brick buildings they stubbornly refused to allow their homes to be bulldozed and demolished yet again. Back at the hostel I met Caitlin, a US citizen who currently lives in Germany with her husband and who loves to travel. 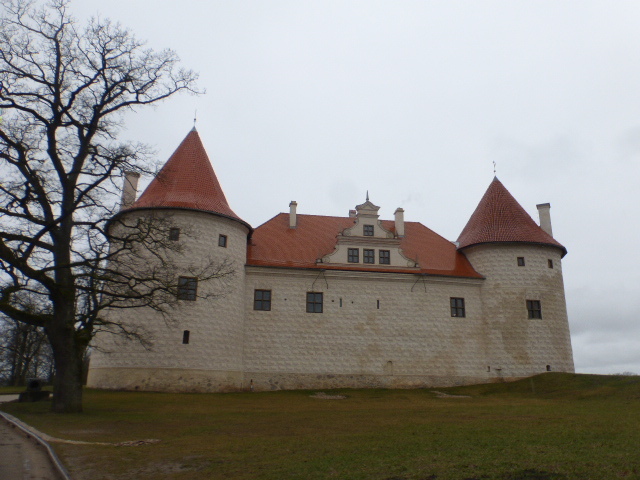 After a meal out we decided to team up the following day and visit the Turaida Castle complex at the town of Sigulda. As we set off in damp drizzle I thought that I could remember where the railway station was but after 25 minutes we were still wandering around in the rain. It was hidden inside a shopping mall, although when we arrived back later that evening and exited through the main door we couldn’t believe how we had been unable to find anything so massive! But after a train ride and a cramped minibus journey later we got to Turaida castle which is on the edge of the Gauja National Park. It was quite beautiful even in the drizzle and it must be simply spectacular in the summer when everything is green and the red brick towers rise out of the surrounding forest. 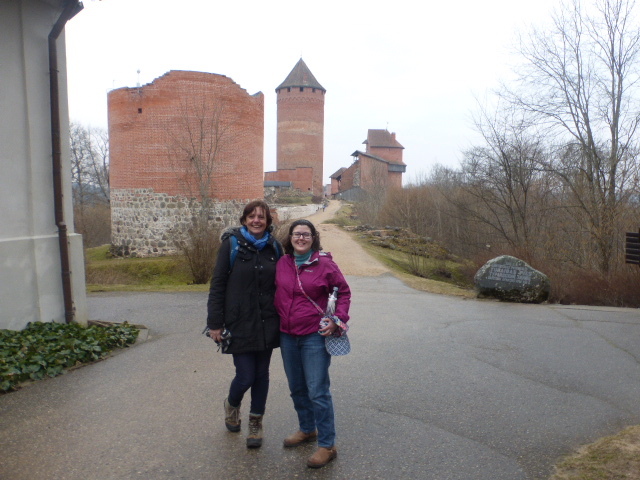 We happily wandered around the museum and the grounds and then, after getting the minibus back to town we went for a walk to find the Sigulda castles (old and new) – although we succeeded in getting lost yet again. 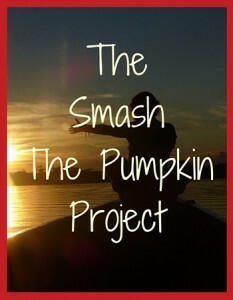 We think that because we both usually travel solo we relaxed when out with each other and we took no individual responsibility for directions so instead of being aware of our surroundings we chatted away and subsequently continued to get lost. Coming across an Orthodox church in the middle of nowhere we asked a lady who was talking to her friend on the street how to find the castle. We obviously didn’t look too competent at understanding her directions in Latvian so she indicated that she would give us a lift in her car. Not wanted to look a gift horse in the mouth we piled in the back and she kindly drove us to our second castle of the day. The next day we set out via two buses to Rundale Palace. Imagine Versailles near Paris and this was something like that, just on a much smaller scale. 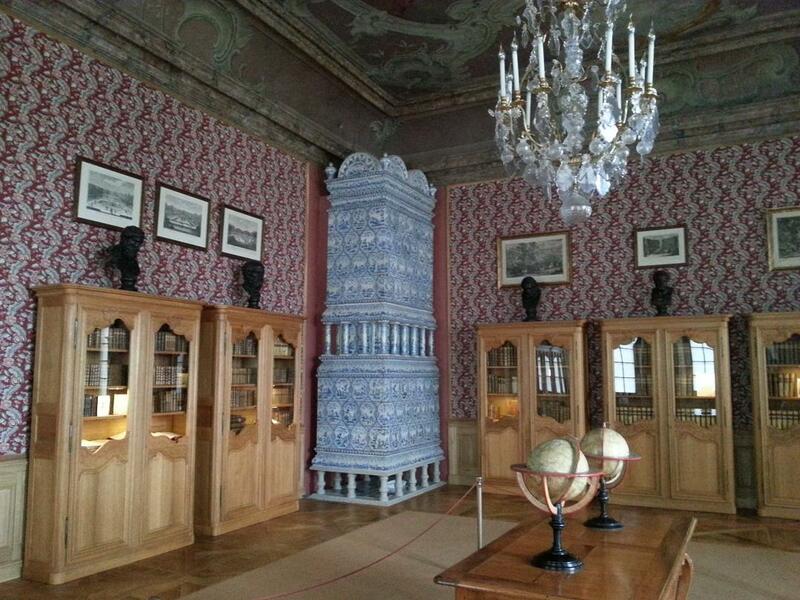 There were 40 or so rooms open to the public that had been renovated and decorated and which were quite beautiful. I have been in many manor houses and castles but I have never seen anything like the heating systems which are employed in this part of the world. In a corner of each room was a large ceramic tiled ‘box’. A furnace behind would burn wood and service 3 or 4 rooms via this forerunner of a modern day radiator as opposed to the large open fires which would burn logs or coal in houses and castles in the UK. The palace gardens were newly planted up and all ready for spring and very bare but we saw pictures of them when everything is blooming. I would love to retrace my whole journey in the summer months when everything must have quite a different feel with flowers and green grass and blue lakes. Returning to the nearby town of Bausca we jumped off our bus and we went to visit yet another castle. Disappointingly not very much of this building was open during the winter but it was still good to wander around. Despite the fact that there were hardly any other tourists there were plenty of staff dotted about between the various rooms. They were hilariously quick to try to shepherd us through and back out, frantically gesturing that we should pass through doorways or go up stairs, and they got themselves into a real tizzy if we decided to double back on ourselves. You will be pleased to know that we didn’t disappoint after leaving the castle and this time we actually managed to mislay the entire town centre and the bus station (yes I know that nobody we asked spoke English but bus usually translates into any language). We finally found a bus trundling along the street which we jumped aboard and luckily it took us back to Riga. 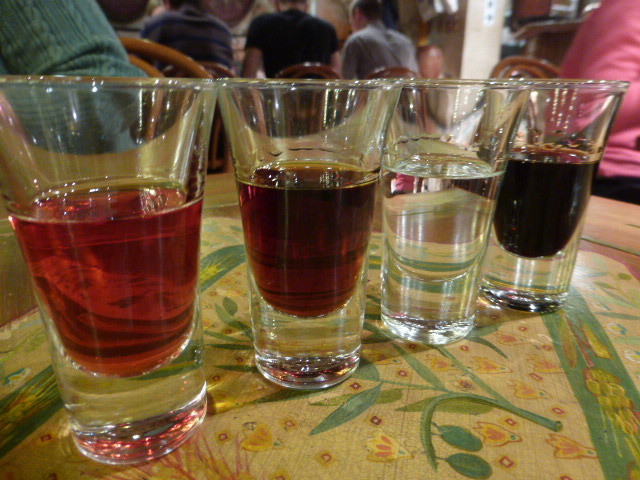 We went out for a lovely meal that evening in a typical little Latvian restaurant where as well as a very tasty meal we sampled several shots, including a cranberry liqueur and the brain-blasting Riga Black Balsam. Caitlin had an early bus the next morning and she wanted an early night, but she reappeared in the hostel kitchen at about 11.30pm – dragged there by a matriarchal Russian lady who had just checked in to her dorm with her husband and child. Newly arrived from Paris and hungry, this lady was not going to leave Caitlin sleep and she ordered her to get out of her bed and to join them in the kitchen for cake and yogurt. I was working on my laptop but I got roped in too; the whole time the pair of us were talked at loudly by this domineering but kindly lady. Caitlin escaped and went to bed and then later it was my turn to be woken by an extremely loud drunken New Zealander who was attempting to clamber into his top bunk above me. Threatening him with sudden death if he dared to vomit on me in the night he then chose to climb back down and hold a conversation with me at the top of his voice for the next half an hour. Sleeping in dorms is certainly not for the faint hearted! 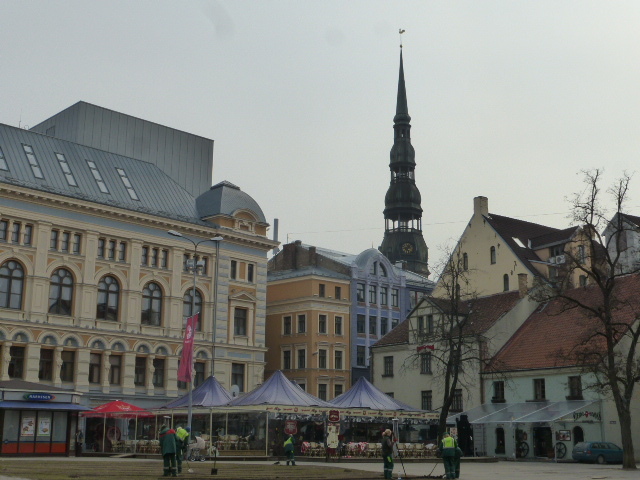 On my final day in Riga I went to buy a second hand netbook as mine was playing up again. Guided by the staff at the hostel I found Second-hand-electronic-street and in one of the little shops I found a cheap netbook. Getting it back to the hostel I was relieved to find that Anna on reception spoke both Latvian and Russian and could re-organise it for me (although it does still lapse out of English). The computer had very obviously been acquired by the shop by illicit means – the owner was still logged onto his Facebook page – but there was no way I was going back to confront or accuse the two hard faced looking men in the shop who had sold it to me of stealing it. I sat and chatted for ages in the hostel with Anna who spoke frankly about politics and I learned a lot about the ethic makeup of the population of Latvia. 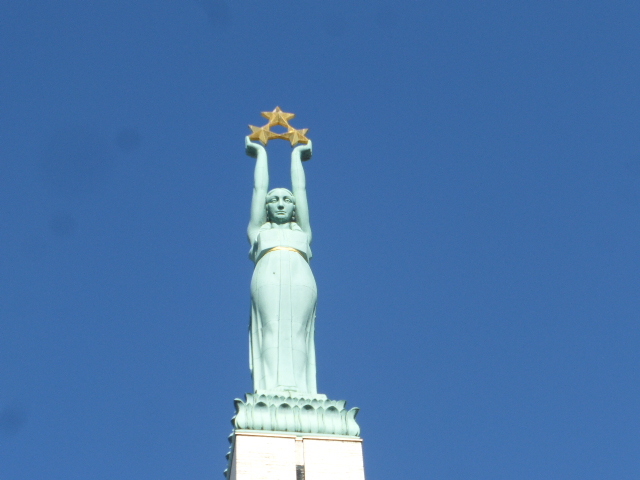 I also learned how despite being born in Lativa she is often made to feel that she doesn’t totally belong because Russian not Lativan is her mother tongue and she is sometimes viewed with suspicion or non-Latvian by others based on her ethnic heritage. 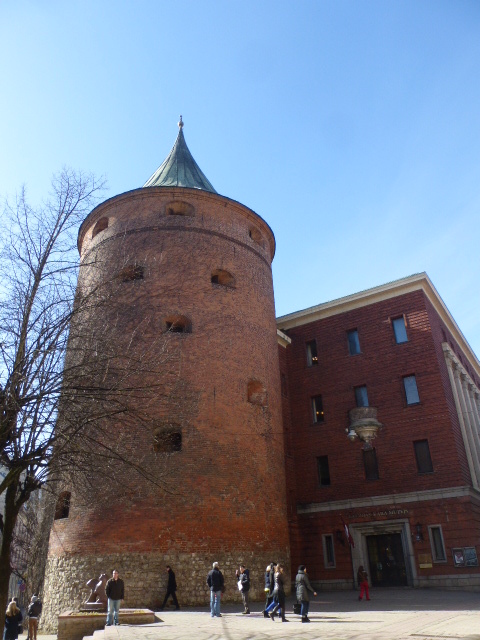 I have to confess to being pretty ignorant about the history of the Baltic countries prior to this trip. I clearly remember the recent events at the beginning of the 1990’s when they each won their independence from the USSR but I was totally in the dark about the horrors and the occupations that they had all suffered throughout history. They saw some of the worse atrocities during the Second World War when a massive percentage of their population were either killed, conscripted into one foreign army or another or later deported to Siberia. They were denied their religion and their language and while each country has a very clear identity and a pride in their independence and history, people will simply shrug if you mention the possibility of any future conflict, as is currently being mentioned in the press. They have seen it all before. They are resilient. 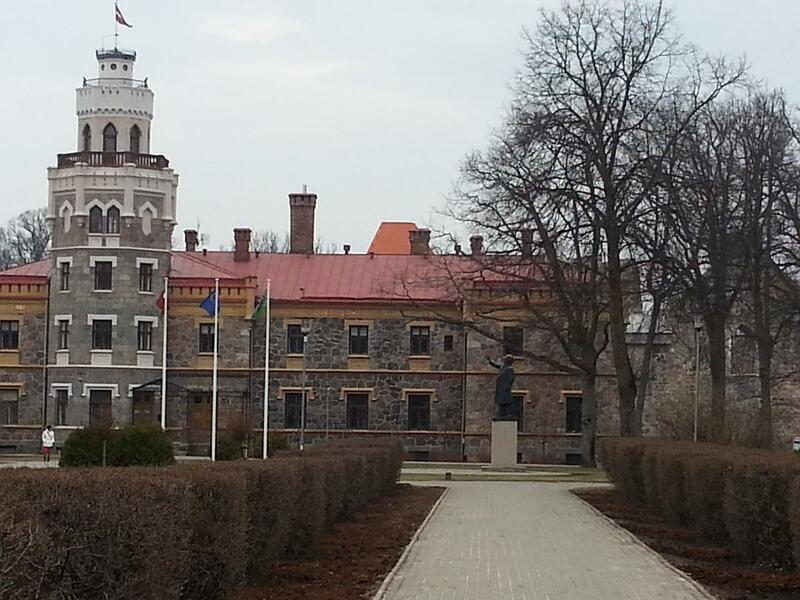 I’m pleased that you are enjoying reading my blog and also that you enjoyed Vilnius Niky. 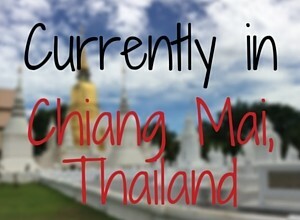 I would love you to sign up and follow me for more ideas and content about the places that I have visited. Did you also visit Estonia? Yes, we flew to Vilnius, visited Trakai Castle, travelled overland with Jules Verne to Riga, which was my objective, the grandfather of a dear friend of mine (German) designed some of the art nouveau buildings, visited the Rundal Palace and Parnu, went to Tallin, and found Pudel Bar in Telkiskivi district, with great graffiti, took the ferry to Helsinki, met some friends and toured the city, and flew back.